Another image from the series for Workbench Magazine. 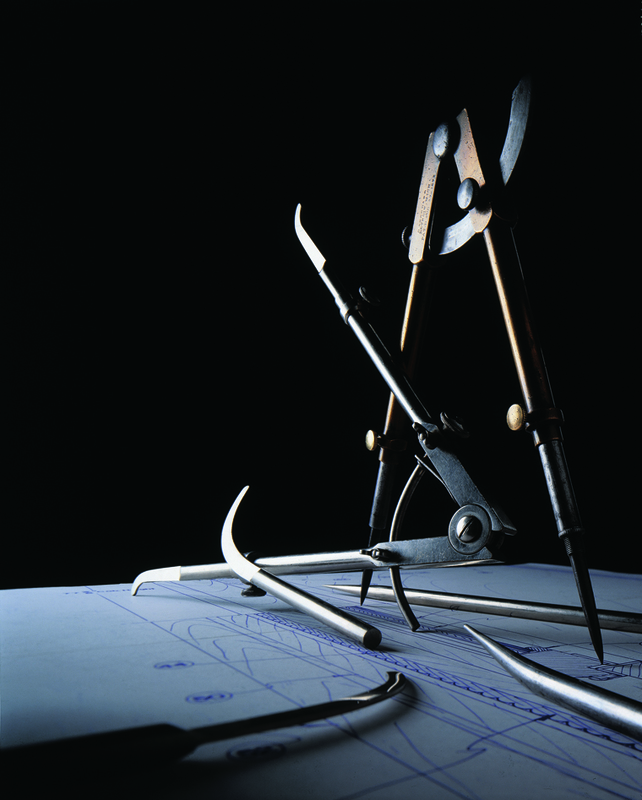 These are drafting tools from the early 1800’s. Due to the wide angle, up close and down low perspective, there is a sense that they could be dancing. Shot on 4 X 5 Ektachrome 100; 75mm Fujinon; Broncolor lighting. It can’t be seen (by design), but there is a black rod in the top right corner that the spreader bar of the upright divider is leaning against. I had fun designing this one and it was very well received. ~ by Johnny on September 18, 2008.